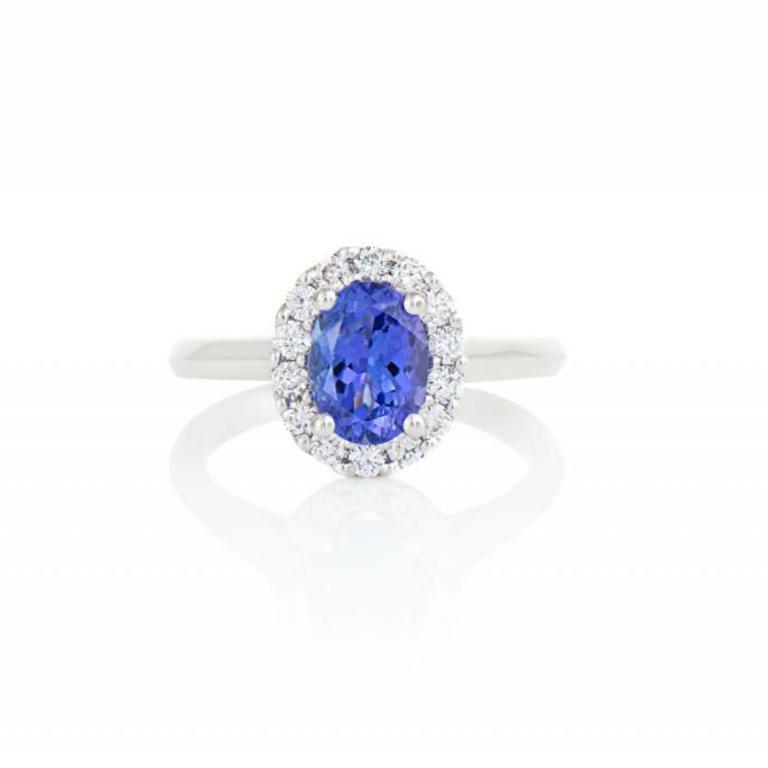 Ladies diamond and tanzanite halo ring of classic styling. 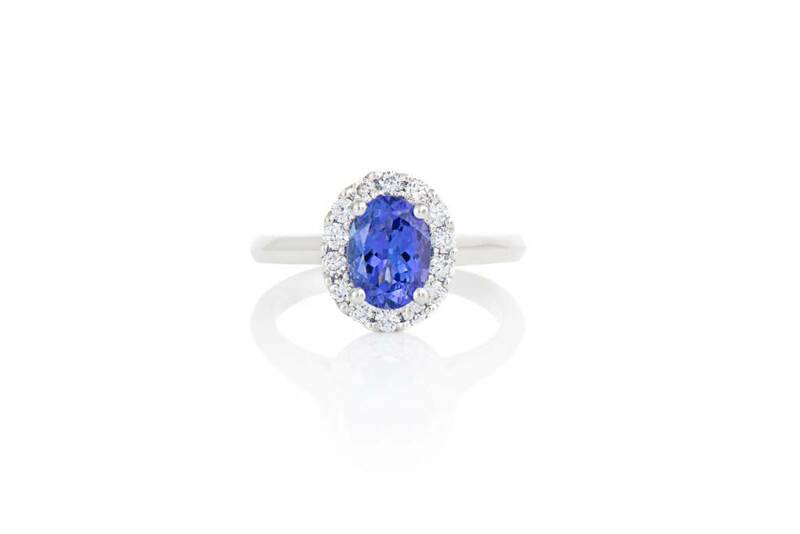 The ring is crafted in 18k white gold and is set with one oval cut tanzanite at center. The tanzanite has a gem weight of 1.42ct and is of a fine, medium violetish blue colour. It is surrounded by a halo of round brilliant cut diamonds that are micro pave set. These diamonds have a combined weight of 0.35ct. The remaining band is tiffany in shape and high polish in appearance.